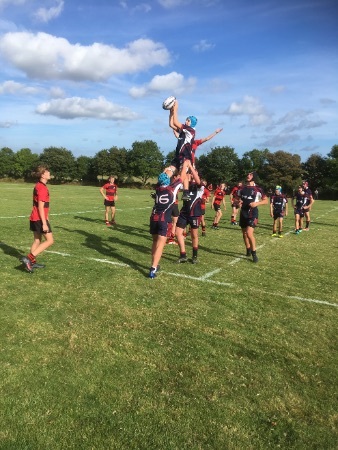 This was a much closer game than the score line suggests, in a very tough first half we went 10-0 up and were playing some lovely rugby. Blundells then came back to take a 10-12 lead after a couple of slips in the defensive line. 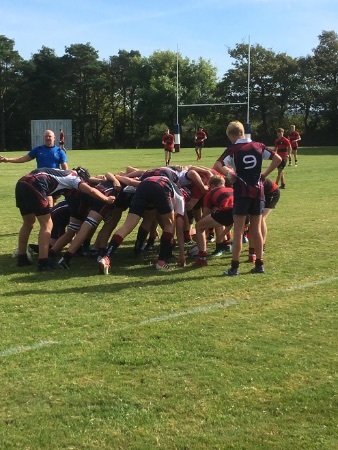 We then scored again to take a 15-12 lead but a break away try from the Blundells winger saw them lead 15-17 at half time. We regrouped and brought on our replacements, having bought into the ‘half a game’ policy from the RFU a year early. All the boys put in a magnificent display in the second have to keep Blundells scoreless and score four tries ourselves. 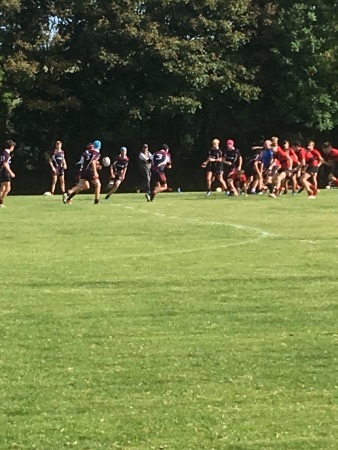 Strong running from forwards, Tom Baker, Milo Hallam and Josh Allister and wonderful support play from Matt Pritchard and Dan Shaw saw the forwards dominate the opposition and the boys ran out 39-17 winners. They should be very proud of themselves for putting in such a fine performance.